We would like to introduce our ornamental concrete business. What is ornamental concrete? It is your common fountains, birdbaths, stepping stones, picnic tables and benches, statues, columns and balustrades, and many other novelty items. The products are mostly white concrete but he also does custom painting. However, about 70% of customers prefer to leave their products unpainted due to aging which blends perfectly with their landscape backgrounds. These decorative items are made of quality concrete materials that will beautify your yard, patio, or garden. Most customers look forward to updating and changing the scenery of their landscape. We have many selections of products for any season you chose. They review a lot of pictures of landscapes from books, magazines, the internet, and "drive-bys". They do this looking for the perfect set-up for their personal space. Some are works of art and some lawns are made over to claim a spot for peaceful meditation. 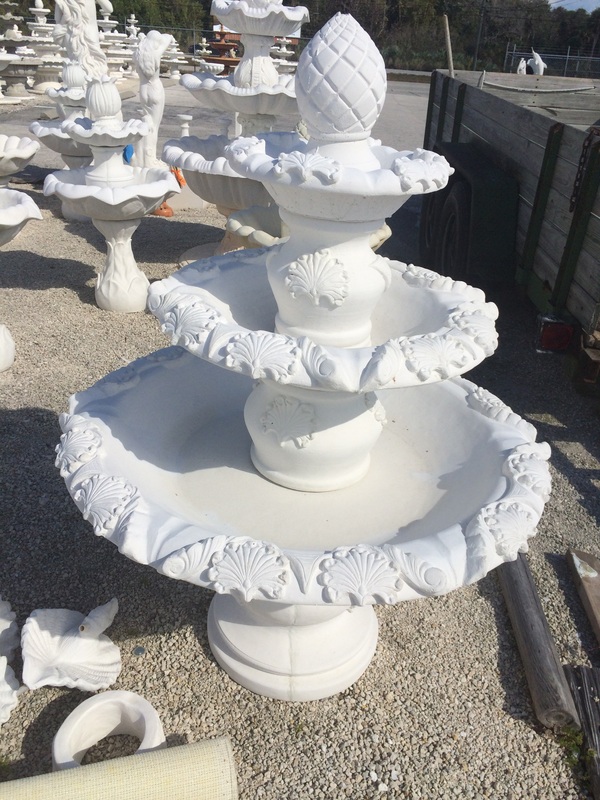 There are a variety of products to chose from, as mentioned earlier, fountains, birdbaths, picnic tables and benches, statues, columns and balustrades, and many other novelty items. At Brevard Ornamental Studio, you will find mostly white concrete ornamental figurines glistening in the sun. You want find any plastic or other inferior materials in our prod. All are made from concrete materials which withstands outdoor weather elements. We are unique because we manufacture most of our items. We pride ourselves on being available to work directly with our customers to give them immediate attention and quality assurance. You never know what the current trends are in this business, therefore, carry a variety of items. Most people will be sure to find items which will bring happiness and satisfaction from Brevard Ornamental Studio.